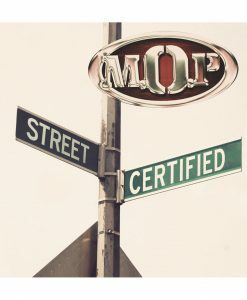 Legendary Brownsville duo M.O.P. released their first album To The Death back in 1994, and have spent the past 20 years building a reputation as one of the most important groups in hip-hop history. They’ve been signed to iconic labels like Roc-A-Fella and G-Unit, released one of the biggest rap singles ever in “Ante Up”, crafted classic songs with DJ Premier, and did it all without compromising their sound or integrity. Celebrate 20 years of the Mash Out Posse with this official M.O.P. 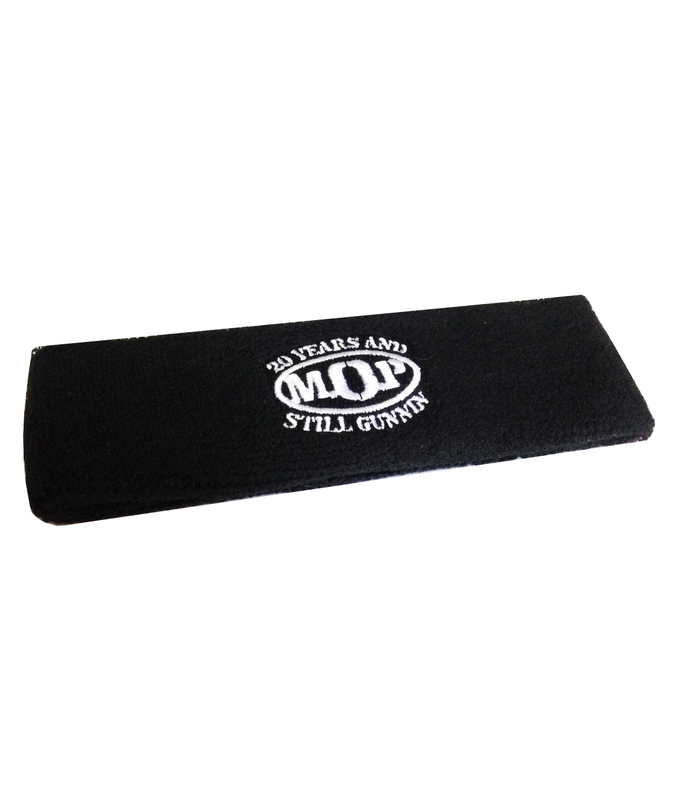 sweatband. Bonus! 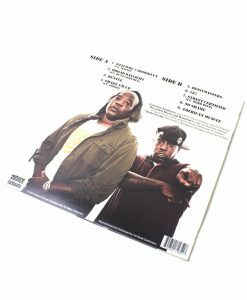 Also includes a handful of M.O.P. 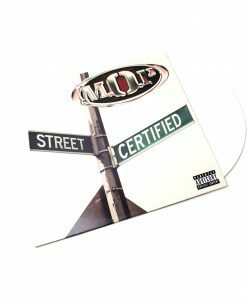 stickers and an 11″ x 17″ poster celebrating the new M.O.P. 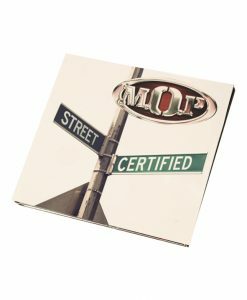 project Street Certified.